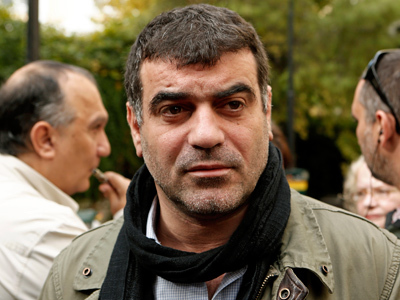 Greek journalist Kostas Vaxevanis has been acquitted of breach of privacy. He was arrested after publishing a list of 2,000 Greeks with Swiss bank accounts in his Hot Doc magazine. ­His trial began earlier on Thursday for publishing the so called 'Lagarde list'. Vaxevanis' defense centered around claims that he published the same list as the one that French authorities handed over to their Greek counterparts two years ago. His legal team also argued that no one had complained of privacy violation. The Greek authorities said that there was no evidence that names mentioned in the list, businessmen, politicians and high-ranking officals, did actually break the law. 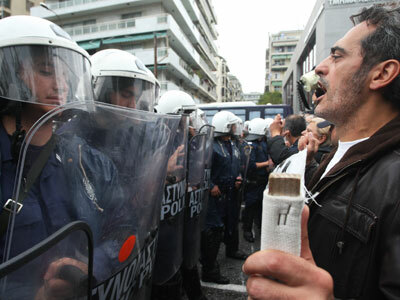 While the case was wrapping up, another journalist Spiros Karatzaferis, was also arrested in Athens. His detention comes after threats to expose damaging allegations about the country’s economy. 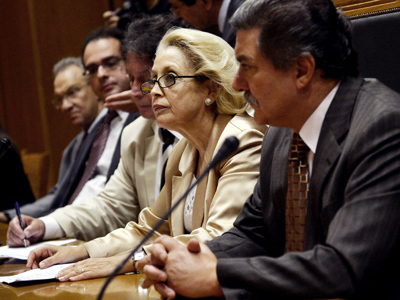 He claimed to have proof that the Greek deficit, which forced the embattled country to seek bailouts, was fraudulent. Karatzaferis insists he received this information from the hacker group Anonymous. Two TV presenters were also recently suspended for criticizing authorities on-air. Cases of what local journalists call increasing government censorship has sparked mass protest, started by state television staff. ­Before Kostas Vaxevanis was acquitted, RT talked to editor Tim Gopsill, who said that journalists in Greece are simply trying to do their job and are being arrested for it. ­RT:In light of these arrests, do you see a problem with media freedom brewing in Greece? Tim Gopsill: I would say so, journalists in Greece are absolutely doing their job. The country is in crisis, people need to know what is going on. RT:Do you think the quick and heavy-handed response of Greek authorities – when one of these journalists didn't even get to reveal the information he claims to have – proves that they have something they want to keep hidden? TG: I would say so, yes. They are trying to close it down, aren’t they? Because what these journalists are doing is trying to reveal to the public the important information relating to the economic crisis. Kostas Vaxevanis’s exposé relates to the real crisis in Greece and in other countries too, which is tax avoidance and the export of capital, the taking the money out of the country, which is what happened to the Greek economy. RT: Are you surprised by all this? TG: Well, I am not surprised that the government is in absolute crisis in Greece. The economy is tottering, it is the most terrible social deprivation. It is a terrible time for Greek people and they are being treated very badly, not only by the Greek government but the whole EU financial establishment. They need to know the truth, but the thing is that avoiding the tax and taking money off the country is one of the main causes of the crisis. It is absolutely right that it should be publicized. RT:Both these journalists were arrested within days of each other, while two TV presenters were also suspended for criticizing on -air the authorities. What can we read into the timing of all this? TG: The timing is related to the economic position. It is getting closer and closer to a confrontation between Greece and the EU and eurozone. The eurozone is showing very little mercy to the suffering people. The bailout to Greece is not going to people’s pockets or to the income of the livelihood of the people. It is going to the banks, who rather rashly lent Greece money in the past. RT: The journalists strike left Greeks with no news for 24 hours on Wednesday. That's when the politicians were debating new cuts for next year's budget. Was it playing into the lawmakers hands, as the public were left with no information on this divisive issue? TG: What else can they do? All they can do is try to do their job, to tell the truth. But when they do they get arrested. RT: But should they go on strike? TG: Yes, I think so. They have got to put pressure on the government. RT: All these events have drawn attention to the situation of media freedom in Greece. Have the authorities' efforts at guarding any secrets been counterproductive? TG: I don’t see how they can get way with prosecuting these people. 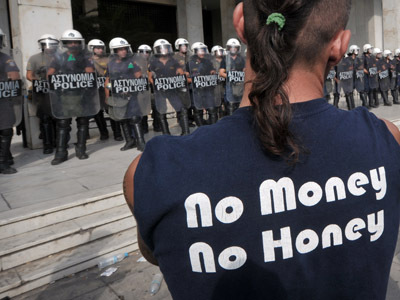 It is actually going to be a very interesting test of freedom in Greece, not just the press, but the court. I would expect that these journalists under what is the Greek version of the Human rights legislation that we have in this country, that we have around Europe, and the European convention and so on, will make sure that the court don’t convict them. RT: Are other countries suffering from the crisis going to see more of this? TG: If things get worse, yes.